I have an 02 Frontier XE, 2WD King cab, 2.4L, auto. I live in the NY rust belt where the roads are heavily salted over the winter months, meaning it's nearly impossible to unbolt stuff without breaking something or at least a major struggle. 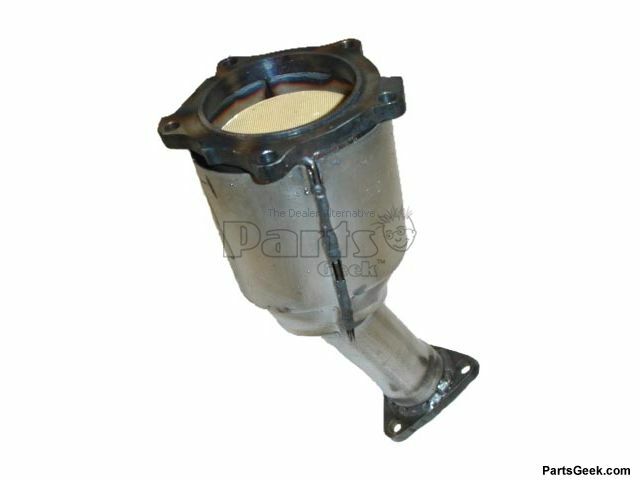 The exhaust system was replaced a few years ago by the previous owner from the cat back using stock parts. It's been getting loud so I crawled underneath expecting the leak to be at one of the flange connections. I grabbed the pipe to help re-position myself & my finger poked thru the side of the pipe. It turned out to be the downtube coming off the pre-cat. Replacements at rockauto start at $180. I understand I'll have to fabricate a piece to tie in between the collector & the converter. Chances are I may have to replace the converter. If I do, I'll use a free-flow universal for ODB II. I'm guessing I might have to weld a bung for the O2 sensor to the pipe behind the cat or possibly get a cat with the bung already in place. I might even upsize the entire system. Basically what I'm asking is, am I on the right track? Will the upstream O2 sensor in the header & the downstream sensor behind the cat work properly so that it doesn't throw a code? No comments? Does that mean I got it right? That is how the stock configuration is set up. If you are replacing it with a similar stock setup, I would not think you should have any codes to worry about. That is how the stock configuration is set up. If you are replacing it with a similar stock setup, I would not think you should have any codes to worry about. It's not exactly the same as the stock setup because I'll be eliminating the pre-cat. As I understand it, since the pre-cat is much closer to the engine, it heats up quickly & helps reduce emissions until the main cat reaches full operating temp. I don't know if the ECM is sensitive enough to detect the difference without the pre-cat. 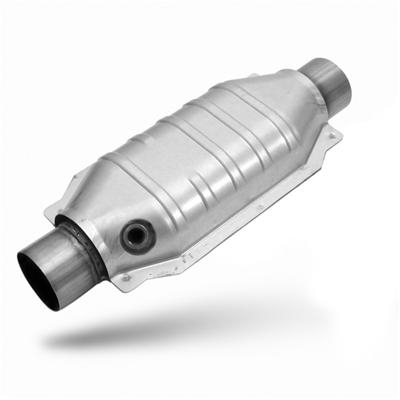 You have to be careful in NY they only allow certain catalytic converters, similar to what is used in CA. I know, that's why I'm being cautious & asking questions. I may just install the header, tie it into the existing exhaust & be done with it. Thanks.